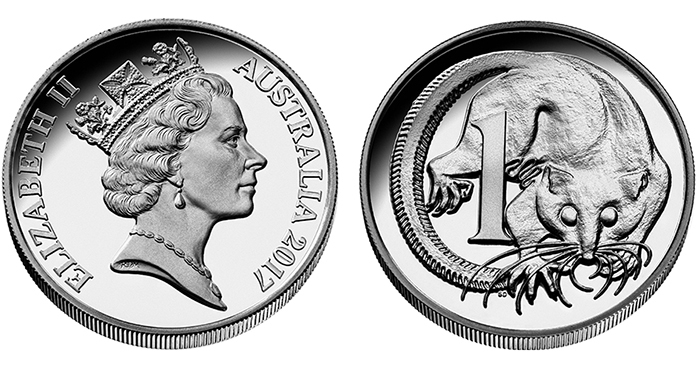 The Royal Australian Mint have debuted (3rd February) the first in a new coin series that introduces Australia’s original decimal coin designs in a new, high-relief set of 1-ounce silver coins. 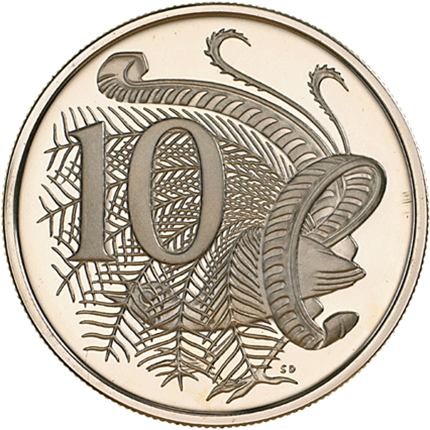 The designs were originally part of a set of coins introduced in 1966, which brought the country’s currency from that of pounds, shillings, and pence to a decimal system consisting of 100 cents to one new Australian dollar. The new system saw two new Australian dollars equaling one old pound, with three coins in circulation during the previous currency system transitioning into new cent values. The 2-shilling coin was issued as a new 20-cent coin; the old shilling coin became a new 10-cent coin; and the old 6-pence or half-shilling coin was now a new 5-cent coin. 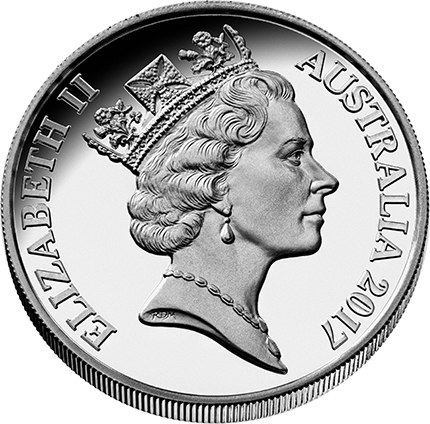 This change in currency system also enabled the Royal Australian Mint—which itself was inaugurated the year before decimalisation in order to fulfill the need for new Australian coins—to also remove the silver content from circulation coins (with the exception of a new 50-cent coin, which was minted with a fineness of 80% fine silver). The reverse of the 2017 silver piedfort coin, honoring the 1966 one-cent design. The first coin in the new, 2017 series is a piedfort (double-thickness) coin produced using a high-relief striking process. 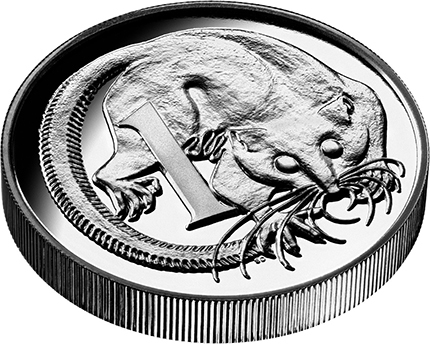 The design re-creates that on the 1966 1-cent coin: the feather-tailed glider, also known as the pygmy gliding possum. With its distinctive, big eyes and brownish fur, this little marsupial measures just 6.5 to 8 centimetres (2.6 to 3.1 inches) from nose to rump and weighs about 12 grams (0.42 ounce), making it about the size of a small mouse. 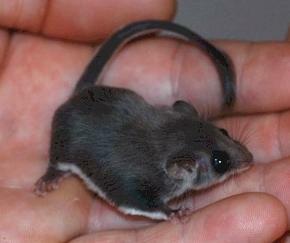 It is the world’s smallest gliding mammal. This species native to eastern Australia and is named for its long, featherlike tail (click here and use the magnifier tool for a close look). The 1-cent coin was eventually removed from circulation in 1991, after 25 years in use. 2017 silver piedfort obverse, with 1985 effigy created by Raphael Maklouf. 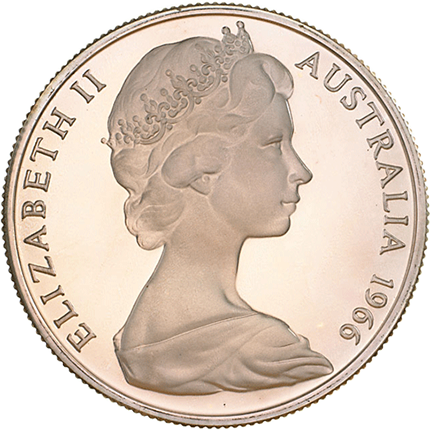 The obverse side includes an effigy of HM Queen Elizabeth II as created by Raphael Maklouf and introduced on Australian coinage in 1985; it was used until 1999, when it was replaced with the current effigy of the Queen designed by Ian Rank-Broadley. The coin will debut at the World Money Fair in Berlin on the 3rd February, where it will go on sale in limited quantity at the kiosk of the Royal Australian Mint. Thereafter, the coin will be available directly from the Royal Australian Mint’s e-shop. The original 1- and 2-cent coins, minted of 97 percent copper, 2.5 percent zinc, and .5 percent tin, were the only predominantly copper coins in circulation. Both coins were first introduced in Australia, when the government transitioned over to a decimal currency system on the 14th February 1966. 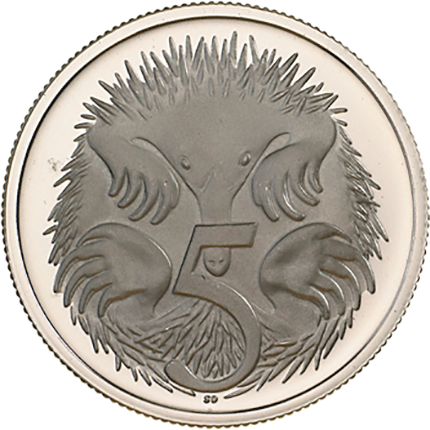 The five denominations from the 1 cent to the 20 cents coins featured uniquely Australian animals, designed by the Australian-born artist Stuart Devlin. 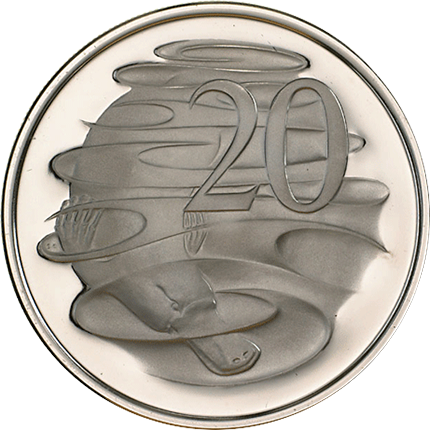 The 50-cent coin, which was minted in 80 percent silver, featured the country’s crest or coat of arms, which itself features the kangaroo and emu. 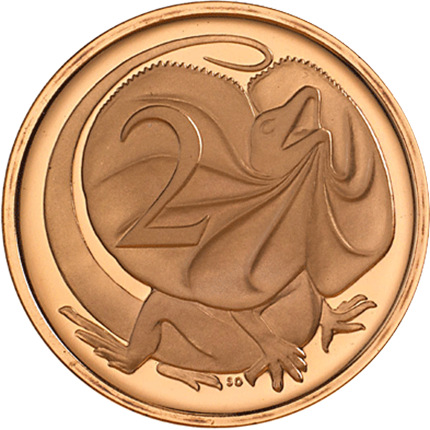 The 2-cent coin weighed 5.2 grams with a diameter of 21.59 mm and depicted a frilled-neck lizard on the reverse. 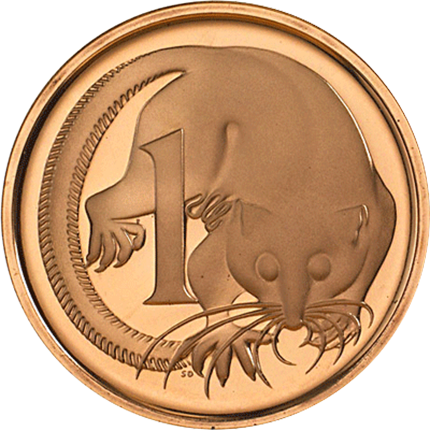 The 1-cent coin weighed 2.6 grams with a diameter of 17.65 mm and featured a feather-tailed glider. A new effigy of Queen Elizabeth II was introduced on all circulation-type coinage. The portrait was the work of sculptor Raphael Maklouf. 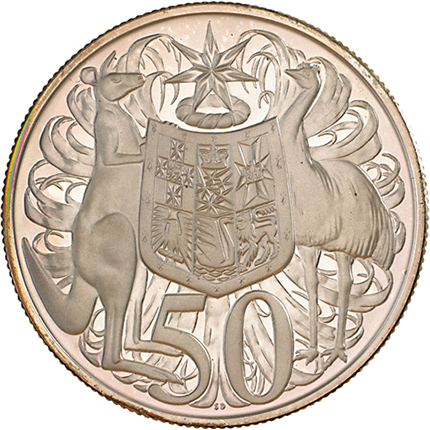 50 cents—Australian coat of arms, featuring a kangaroo and an emu.